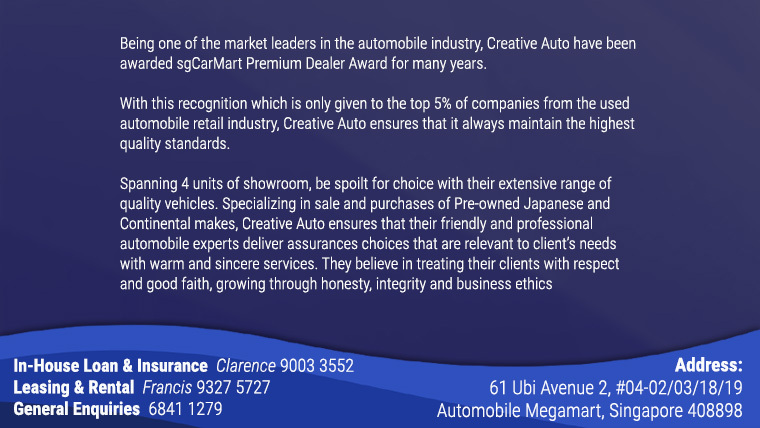 Being one of the market leaders in the automobile industry, Creative Auto have been awarded sgCarMart Premium Dealer Award for many years. With this recognition which is only given to the top 5% of companies from the used automobile retail industry, Creative Auto ensures that it always maintain the highest quality standards. Spanning 4 units of showroom, be spoilt for choice with their extensive range of quality vehicles. 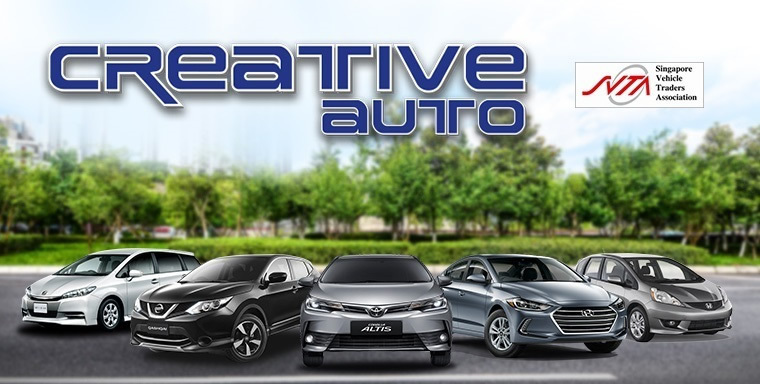 Specializing in sale and purchases of Pre-owned Japanese and Continental makes, Creative Auto ensures that their friendly and professional automobile experts deliver assurances choices that are relevant to client's needs with warm and sincere services. 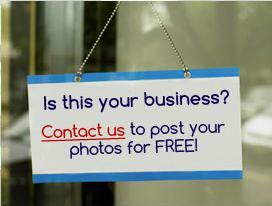 They believe in treating their clients with respect and good faith, growing through honesty, integrity and business ethics.